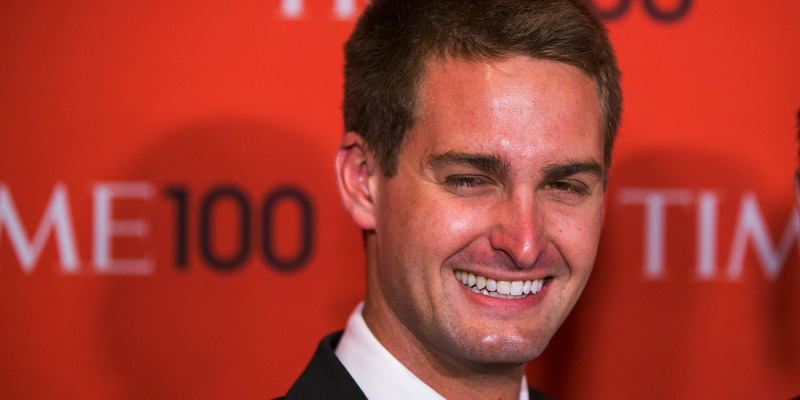 Lucas Jackson/Reuters PicturesSnapchat CEO Evan Spiegel. 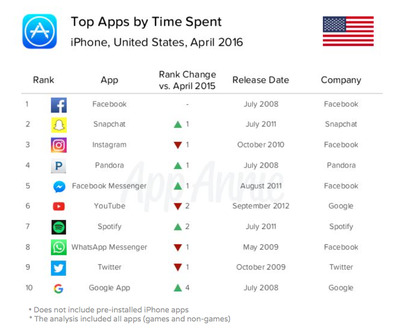 Snapchat has overtaken Instagram in the amount of time users spend in the app, according to a new report from app analytics company, App Annie. In fact, Snapchat sits above three of Facebook’s premiere apps in that category (WhatsApp, Messenger, and Instagram). It now only sits behind Facebook itself, with respect to iPhone users in the US. This isn’t the only statistic in which Snapchat has begun to beat Instagram. Snapchat has also caught up to and surpassed Instagram as the app of choice for teens, according to a recent survey by investment bank Piper Jaffray. In fall 2015, Piper Jaffray’s semi-annual survey of 6,500 US teens showed that 33% of them considered Instagram their most important social network. By this spring, that number had fallen to 27%. Snapchat has trended in the opposite direction. In fall 2015, just 19% of teens said it was their most important social network. That ballooned to 28% this spring, edging out Instagram. There have been signs that Facebook has been unhappy with Instagram’s recent performance. Facebook completely changed Instagram’s logo design last month, and is in the midst of completely shaking up the way Instagram shows you photos, switching to an algorithmic ranking (like Facebook’s own news feed), instead of presenting photos chronologically. And Facebook has certainly noticed Snapchat’s success. Since reportedly trying to buy Snapchat for $3 billion, Facebook has introduced a slew of Snapchat-like features to its own apps, including visual “codes,” the ability to doodle on photos, and plans for animated filters following Facebook’s acquisition of MSQRD. 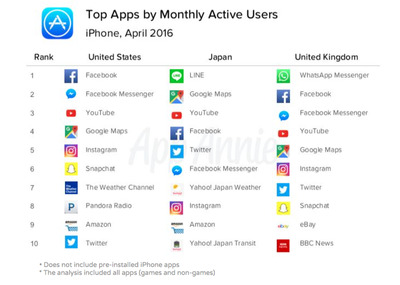 Despite this, Facebook-owned apps Instagram, Messenger, and Facebook (proper), still beat Snapchat in monthly active users. 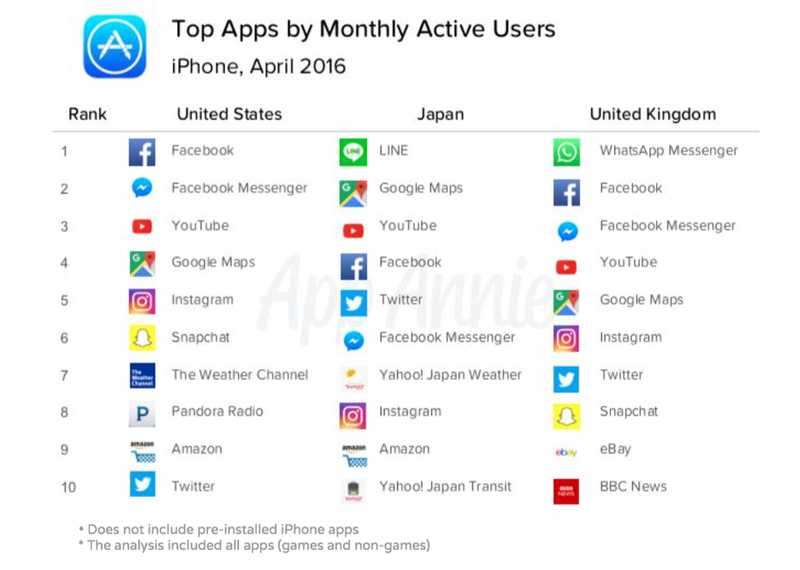 And 62% of app downloads in May were for apps owned by Facebook, according to Sensor Tower. But it seems that Snapchat has found a way to keep its users engaged, something Facebook has struggled with by certain metrics. Facebook is reportedly worried about a decline in “personal” sharing of things like status updates and photos.